India boasts of hundreds of languages and cultures, each unique and different. One of the richest among them is Konkani – an ancient language that evolved from the Prakrits and Apabhramsas, a remnant of the old ‘Saraswati’ language of the Saraswat Brahmins who lived on the banks of river Saraswati. Today, people who speak this language are settled mainly in 5 states of India – Goa, Karnataka, Maharashtra, Gujarat and Kerala. Konkani language and culture has survived a turbulent history of many a migration, political oppression and cultural suppression. During ancient times, migrations of Konkanis were triggered by the droughts. Later between 2500-1700 B.C. tectonic shifts and earthquakes caused the disappearance of river Saraswati and Saraswats scattered to the north, south and the east. The death of their mother - Saraswati, during 1700- 1300 B.C., forced them to migrate mainly towards the south, west of the Sahyadri Mountains. This region was commonly called ‘Kona’, meaning ‘a safe corner’, or ‘Ankana’ meaning ‘a demarcated area’. Thus, this region came to be known as ‘Konkana’ and the language of the Saraswat Brahmins who populated this area came to be known as ‘Konkani’. Though the ‘Konkana’ region was known as ‘a safe corner’, it didn’t prove to be safe for ‘Konkanis’. Hasan Gangu Jafar Khan of the Bahamani kingdom invaded the major settlement of Konkanis, Goa, in 1351 A.D. His son, Gazni Mohammed was a ruthless ruler and since 1357 A.D. began ruling Goa. He terrorized and suppressed the people. Later the reign of Yusuf Adil Shah, the Turkish king of Bijapur, witnessed the heights of terror and ill treatment to Saraswat Brahmins. This caused further migration of Konkanis to the south. On February 26, 1510 A.D., the Portuguese Commander, Alphonso de Albuquerque and Timmanna Nayak, conquered Goa. The forceful conversion of the local populace to Christianity, and the brutal cultural suppression imposed through the Inquisition – were an assault on the Konkani people, their language and their culture. The ‘Vedas’ and the Manuscripts that were preserved and brought by the Saraswats from their home, river Saraswati were burnt and destroyed by the Portuguese. The hostilities of the Portuguese caused further migration of Konkanis to Maharastra, Karnataka & Kerala. However, the Konkanis are supposed to have migrated to Karnataka and Kerala earlier than this, for which the inscriptions at Shravana Belagola (ascribed to 983 A.D) and Achapura (24 February1042 A.D.) provide evidence. Centuries of migrations of Konkanis from the North to the South spread the Konkani language to all areas they settled in. Moreover, as these Saraswat Brahmins were shrewd, educated and were of the priestly class, they dominated the society they lived in. Hence, Konkani was transmitted to the inhabitants of the coastal region, starting from Rann of Kuch to Kerala. The rich cultural variety that is available in Konkani, could be categorised as the best that any culture can boast of. ‘Gumott’ songs and dances, ‘Tonniyo’ songs and dances are the most common among many communities of Konkani. ‘Ghoddya Moddnni’, ‘Divli Nach’, ‘Gumtte Fang’, ‘Dekhnni’, ‘Shigmo’, ‘Zagor’, ‘Damam’, ‘Duff’, ‘Fugddi’, ‘Zakai’, ‘Dhalor’, ‘Goff’, - are just a few of the vast available variety in Konkani folk songs and dances that need a special mention. The ‘Voviyos’ (traditional songs sung at weddings and other related rituals), the ‘Verse’(sung at weddings), the ‘Gannam’(lullabies) and ‘Gannim’ (children’s songs)’ are a part of Konkani folklore, as also ‘Gadi’, ‘Munn’nnyo’, ‘Mukhavoram’ etc.. The wide variety that is available in contemporary music is also quite remarkable. From the Indian classical based songs among the ‘Saraswats’ and the ‘Gaud Sraswats’ to the western-based rhythms and melodies adopted by the Christians, Konkani is musically rich. 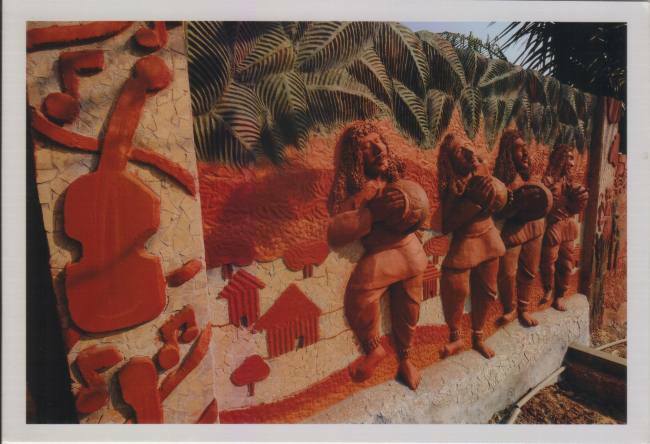 The ‘Manddo’ form of music and dace, a heady blend of Portuguese romantic music and Konkani folk music, is unique to Konkani and has enriched Konkani culturally. Konkani boasts of uniqueness in every aspect of culture – Dress and Costumes, Cuisine, Customs and Traditions, Art and Architecture. 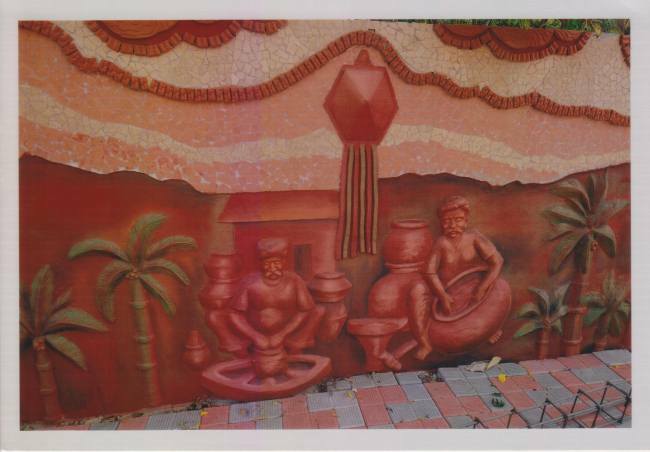 Konkani even boasts of a unique art form, ‘Kavi Kala’, which adorned the interiors and the exteriors of Konkani temples all along the coast. The only drawback, one may point out, is the abscence of a script of its own. Therefore, Konkani today, is written in different scripts such as – Roman (Goan Catholics), ‘Devanagari’(accepted as the official script in Goa), Kannada(written by the most number of Konkanis), Perso-Arabic(Navayati, Daldi and Jamayati Muslims) and Malayalam(in Kerala). Script has always been an issue of concern and the bone of contention. For the past 75 years the Devanagari lobby has strived incessantly to impose the script on all Konkanis and through manipulation has not only captured all Konkani power centres but has also appropriated for itself all benefits accruing to Konkani. Today, we have various communities speaking the Konkani language with a variety of dialects, settled mainly in 5 states of India – Goa, Karnataka, Maharashtra, Gujarat and Kerala. The undated Shravana Belagola inscription ascribed to 983 A.D has the following line in Devnagari script but in the Konkani language: “Sri Chavunda Rajem Karavailem” meaning, erected by Sri Chavunda Raya (the statue of Gomateshwara). An important issue stating that Sevuna, the Kannadiga rulers had some soldiers who were speaking a strange language. An inscription at Achapura dated 24th February 1042 A.D records the appreciation at the valor of their king - some soldiers shouted: “Bhappu! Bhappu! Mhoja Bhappu!”, which in colloquial Konkani may be equated to an exclamation - “ Ye mhoja bappa!”, meaning “Oh my father!”. The Sahitya Akademi, Delhi, recognised Konkani as an independent language on February 26, 1975. Until that time, there was a political argument making the rounds in the literary circles, that Konkani was not an independent language but a dialect of Marathi. Linguistists and literary experts, under the leadership of the eminent Suniti Kumar Chatterjee, studied the issue in depth and declared that as Konkani was older to Marathi, Konkani could never be the daughter of Marathi, but vice-versa is possible. Based on these findings, the Sahitya Akademi, the highest literary body of the country recognized Konkani as an independent Language. However, though Konkani is written in 5 different scripts and even though literature in 3 scripts namely, Kannada, Roman and Devanagari are quite prolific in terms of quality and quantity, the Sahitya Akademi has been fostering and promoting literature only in the Devanagari script, and according awards, assignments, projects and every other facility available to Konkani, only to the literature in the Devanagari script. There is a Writ Petition (W.P.No. 35120/2011 – GM-PIL dated 08/09/2011) , admitted in the High Court of Karnataka, against the Sahitya Akademi, to discontinue its step-motherly treatment towards scripts other than Devanagari. It is hoped that the Sahitya Akademi will rectify its stance and begin to recognize literature and not the script of a language. The state government of Goa declared Konkani as the Official Language of the state of Goa, on February 4, 1987. Konkani was included in the 8th schedule of the Indian Constitution and recognised as a national language (only 1 among 18) at that time, on August 20, 1992. Ever since, Konkanis all over the world celebrate August 20, every year as ‘Konkani Manyata Divas’ (Konkani Recognition Day). 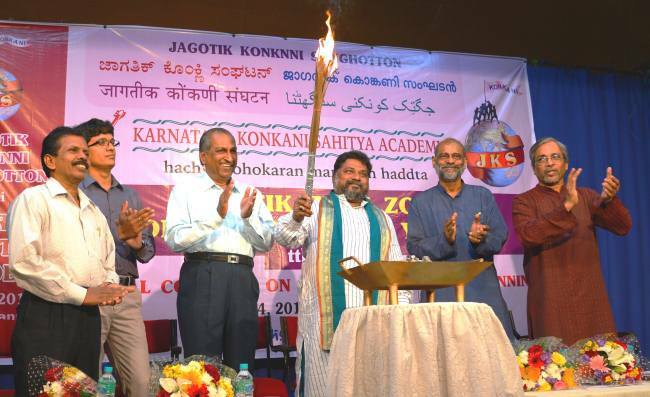 Government of Karnataka established Karnataka Konkani Sahitya Academy on April 20, 1994, for the promotion of Konkani language and culture, in the state of Karnataka. 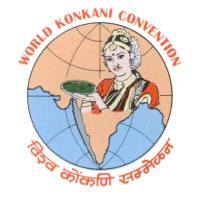 The First World Konkani Convention was held in Mangalore in 1995(December 16-22). ‘Konkani Bhasha Mo’nddo’ll’ was its chief promoter. The World Convention was indeed a very significant and historic event, as it brought together, for the first-time ever, Konkanis of all regions, religions, dialects and communities, spread around the world. 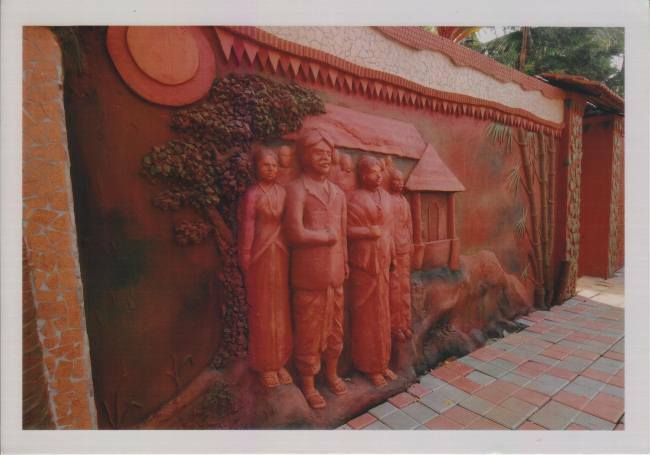 Establishment of Kalaangann - The Konkani Heritage Centre – in Shaktinagar, Mangaluru. 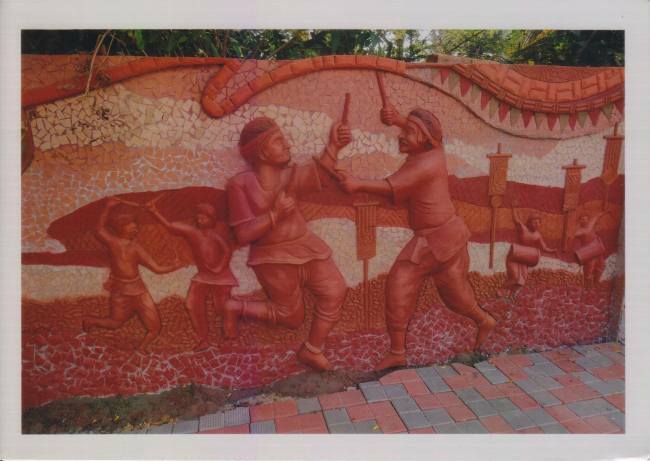 Though the foundation stone to Kalaangann was laid in 1996, Kalaangann was inaugurated in 2001, by the internationally acclaimed actor – Shri Naseerudin Shah. The project was completed and dedicated to the world, in 2008, by the eminent director – Shri Shyam Benegal. Kalaangann has emerged as the world’s leading centre of Konkani heritage, arts and culture. Kalaangann is established and run by Mandd Sobhann. 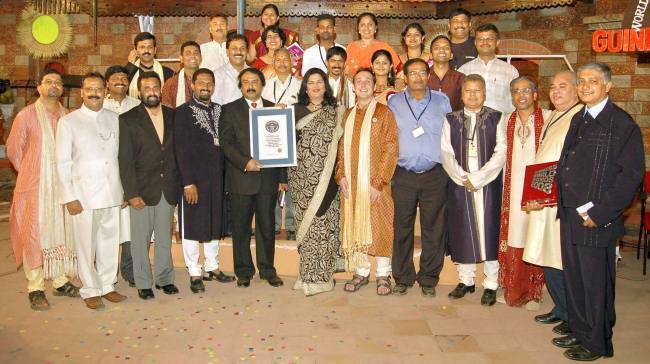 ‘Konkani Nirantari’ – Konkani included in the Guinness Book of World Records. 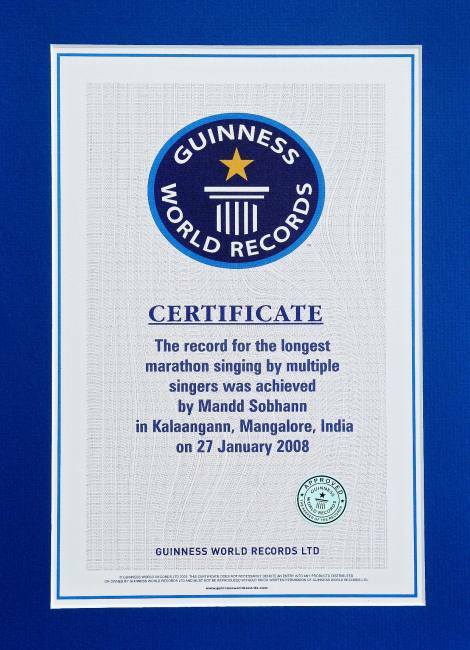 On January 26-27, 2008, Mandd Sobhann organized ‘Konkani Nirantari’ and successfully entered Konkani in the Guinness Book of World Records – for ‘World’s Longest Singing Marathon by Multiple Singers’. 1711 singers, singing 645 Konkani songs, in 44 groups (representing different regions of Konkani, including the Gulf), for 40 hours non-stop, broke the existing Brazilian record of 36 hours. This is a feather in the Konkani cap. Establishment of ‘Vishwa Konkani Kendra’. 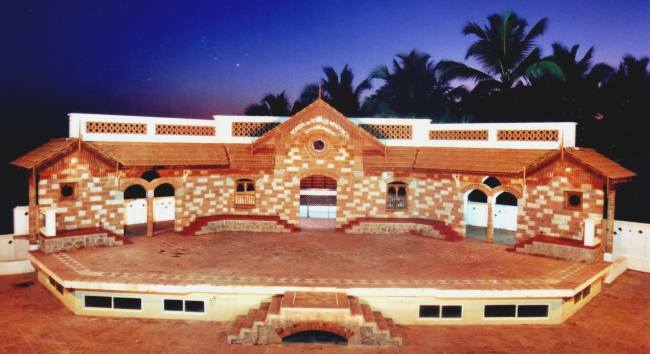 In 2009, ‘Konkani Bhas ani Samskritik Prathishttan’, established Vishwa Konkani Kendra at Shaktinagar, Mangaluru, close to Kalaangann. The Vishwa Konkani Kendra is fast emerging as a community development centre, working for the upliftment of the Konkani community, especially in the field of Educational scholarships. The first World Konkani Cultural Convention was organized by Mandd Sobhann, from November 25 to December 19, 2010 (25 days). 88 Konkani troupes (folk, theatre, song and dance), from all over the world, participated. The then President of India, Smt. Prathibha Patil attended, as also Shri L K Advani. 25 leading Konkani organizations, from around the world, were honoured on the occasion by the President of India. 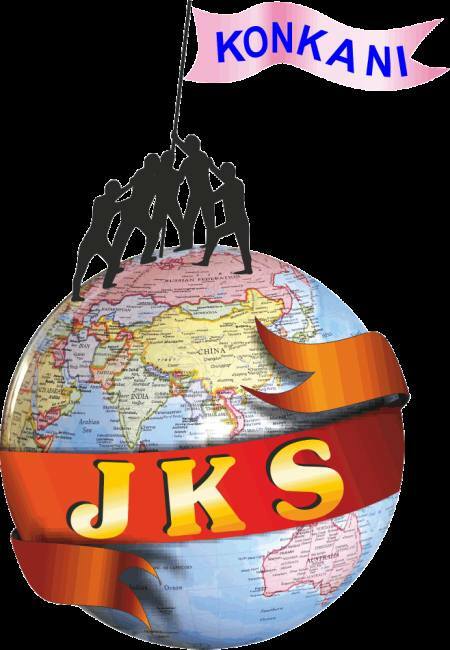 Establishment of ‘Jagotik Konknni Songhotton’ (JKS) – Global Konkani Organisation. Despite the fact that Konkanis are spread around the world in atleast 40 countries in considerable numbers, no attempt was made to unite them and bring them under one umbrella. Mandd Sobhann realizing this historic need, after more than a year of preparation, established Jagotik Konknni Songhotton - Global Konkani Organisation, on August 20, 2011. Today, JKS is in contact with over 400 Konkani organizations (social, cultural and literary), spread around the world. Government of Kerala established Kerala Konkani Sahitya Academy on November 8, 2012, for the promotion of Konkani language and culture, in the state of Kerala. 2 Global conclaves have been organized, so far. The first one on August 24, 2014 – to initiate Konkani Language Planning, and the second, on August 23, 2015 – to adopt the Language Plan. In order to ensure a secure future for Konkani language and culture, Jagotik Konknni Songhotton (JKS) initiated the process of Konkani Language Plan, conducted a Global Survey – to assess the strengths and weaknesses of Konkani, and the Plan has now been adopted. Now, it is for every Konkani (individual, family, community and organization) to implement the same – at the regional, national and at the global levels. Konkani that survived many a tragic migration and brutal cultural suppression and which thrived in strange lands, among different languages, despite being starved of state patronage, sheerly on the strength of its own merits and due to the enormous sacrifices of our forefathers towards its protection; today, sadly finds itself threatened with extinction. Over and above, the juggernaut of globalisation is making its kill. Konkanis are an easy prey (for reasons stated above), to the opportunistic arguments favouring the English language and western culture. As a result, the home, the only link in the transmission of the language, has today been invaded by the English language and western culture. Given this situation, our very identity stands threatened. Here’s a call to all Konkanis – “Come, let’s preserve, promote and enrich our language and culture, and gift it to our children as a precious heritage, so that they might do the same”. Long live Konkani!